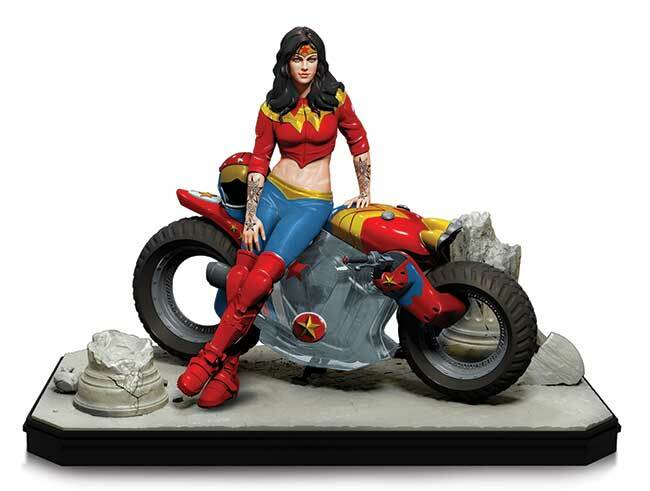 Get ready to ride with the Amazon Princess herself in this latest, highly detailed GOTHAM CITY GARAGE STATUE! 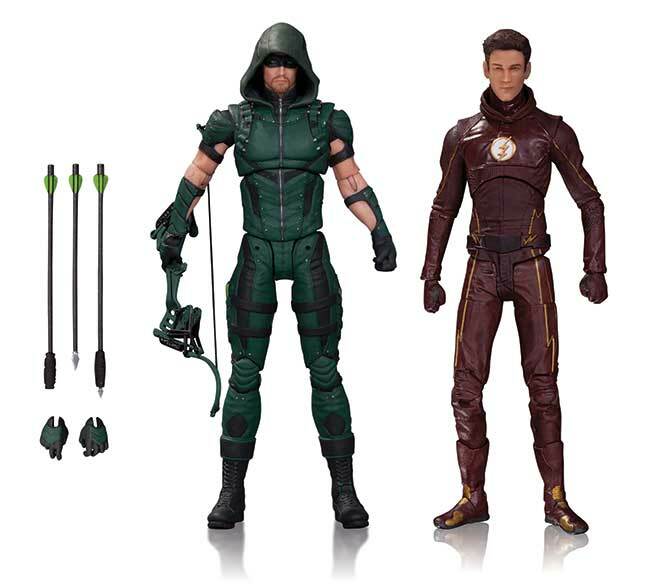 Fresh from their hit TV series on the CW, Arrow and The Flash are back in a new action figure 2-pack. 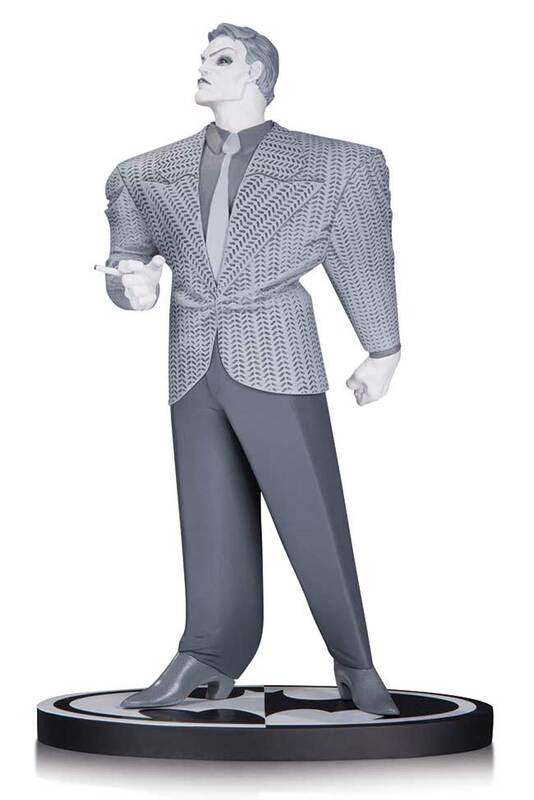 Arrow comes with a bow, three arrows and spare hands. 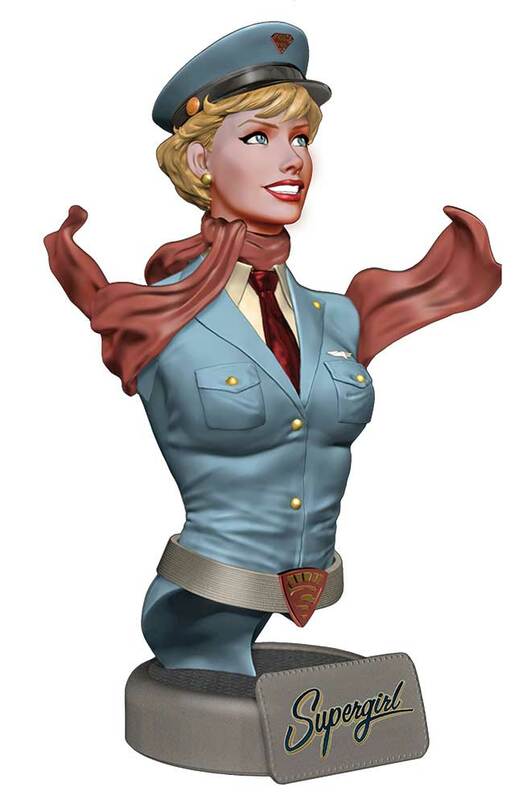 It's a new era and a new look for the Girl of Steel in this new Bombshells bust, as she leaps into action on the battlefronts of the European Theater of Operations! 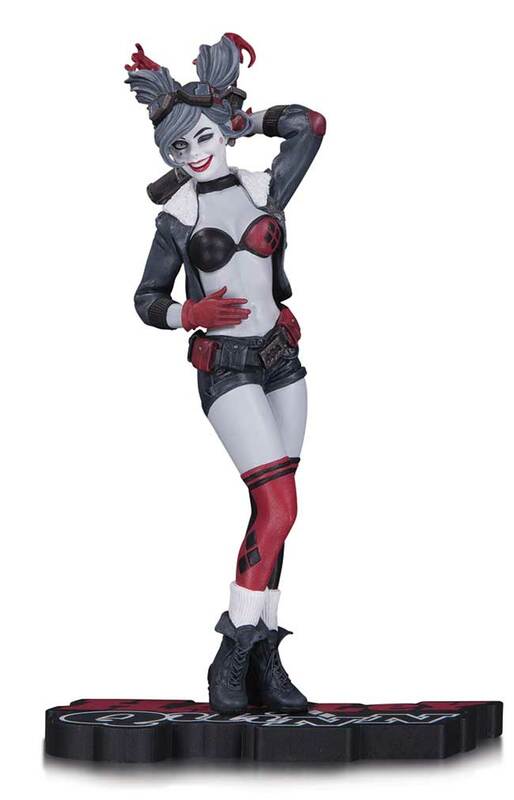 It's a new vision of DC's red-hot villain, Harley Quinn, as DC Collectibles unveils the first HARLEY QUINN: RED, WHITE AND BLACK STATUE! 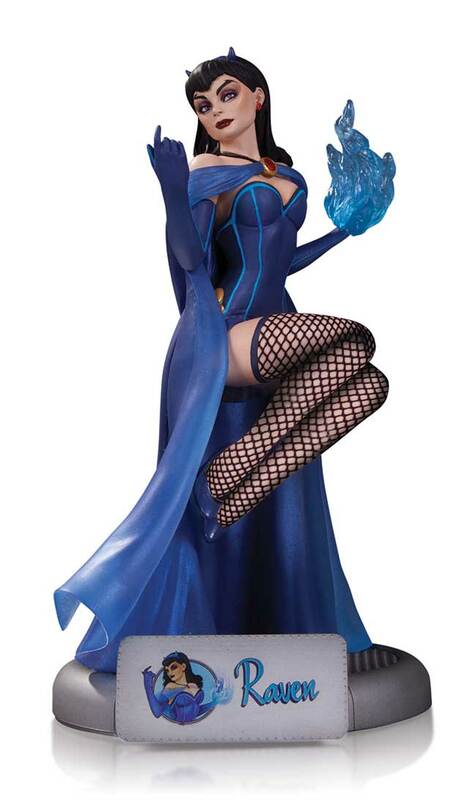 Get in at the start of this new statue series! 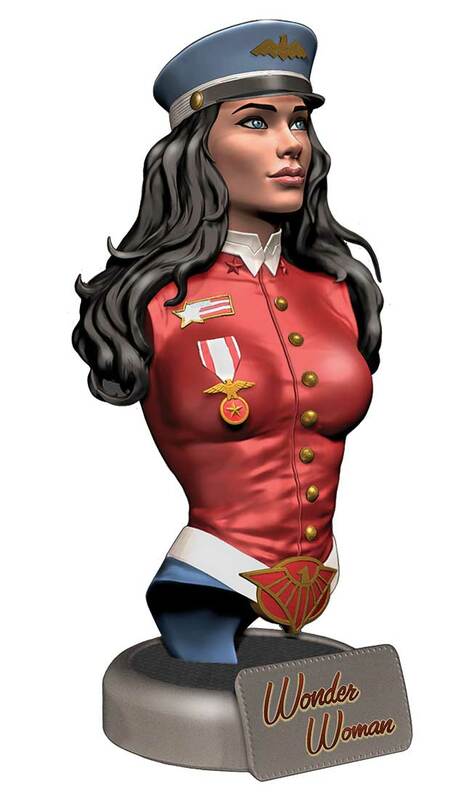 Wonder Woman, DC's original Amazon warrior, is reimagined in this new Bombshells bust - and she's tough enough to take the battle to the enemy forces in World War II! 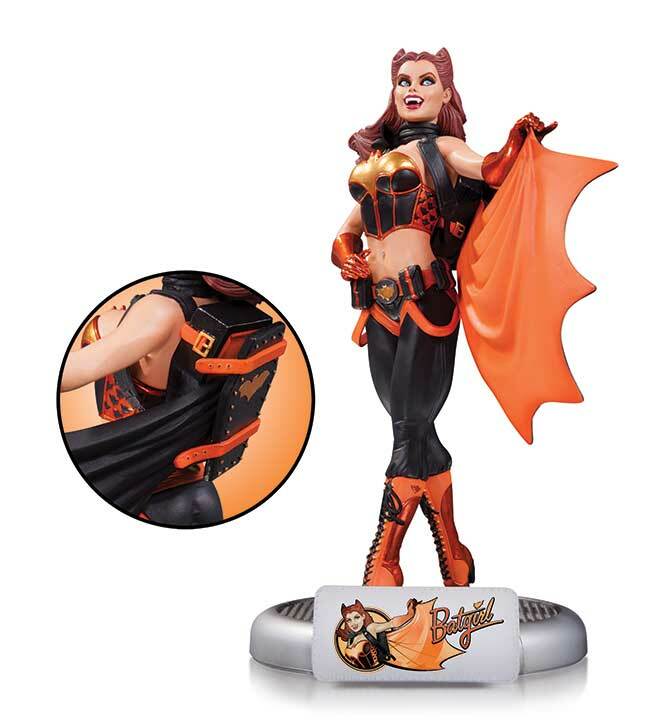 Straight from the pages of the JUSTICE LEAGUE epic "Darkseid War" come these two figures of the dark lord of Apokolips and his equally fearsome daughter, Grail, in a new action figure 2-pack. 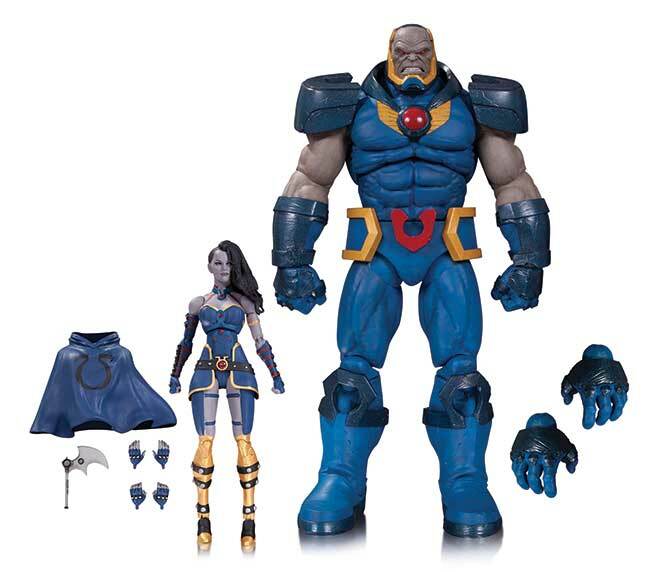 Darkseid comes with extra hands, and Grail includes extra hands, a cape and battleaxe. 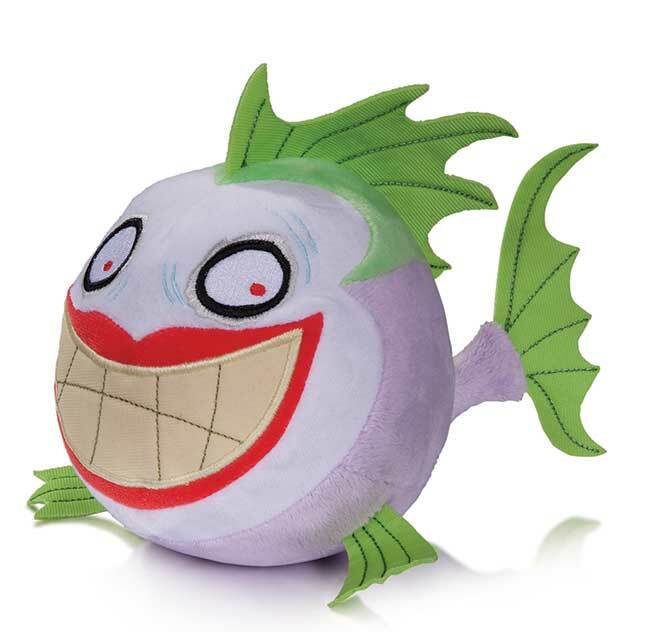 From the pages of BATMAN: THE DARK KNIGHT RETURNS, it's The Joker as envisioned by legendary comics writer/artist Frank Miller! 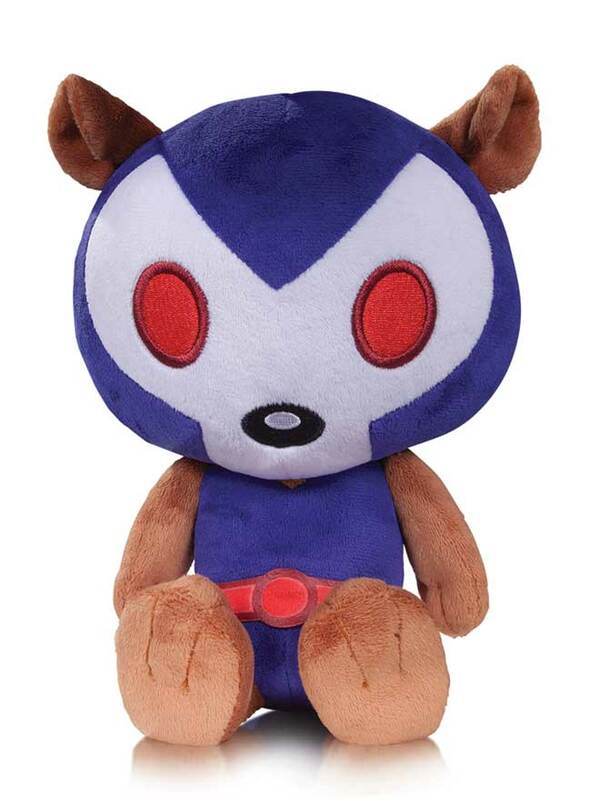 Grab this one before it sells out-and that's no joke!